The loon, which of course is Minnesota’s state bird, is a migratory waterfowl commonly seen on most lakes in Northern Minnesota. They are known for their unique calls and one-pair-per-lake nesting habits. While beautiful to look at and fun to listen to, they are of course protected under state law, so keep your distance. But if you want to see a giant re-creation, look no further. It makes perfect sense to have it here. 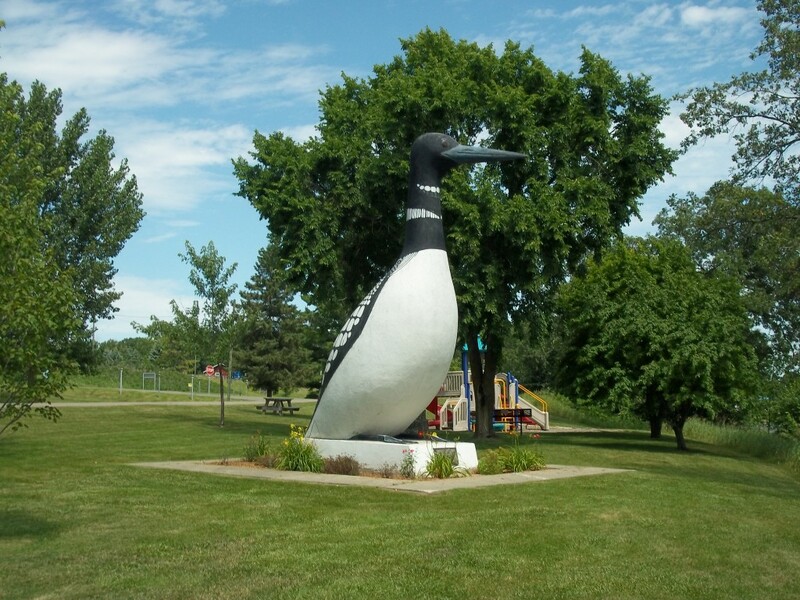 The World’s Largest Loon, standing 20 feet tall, was built in the early 1960s, with funds from the Vergas Fire Department. A plaque on its base tells that it was dedicated to an old postmaster from the town’s earlier years. The Loon is standing on the west end of the aptly-named Long Lake in a city park near a fishing pier and swimming beach as you enter Vergas from the North. 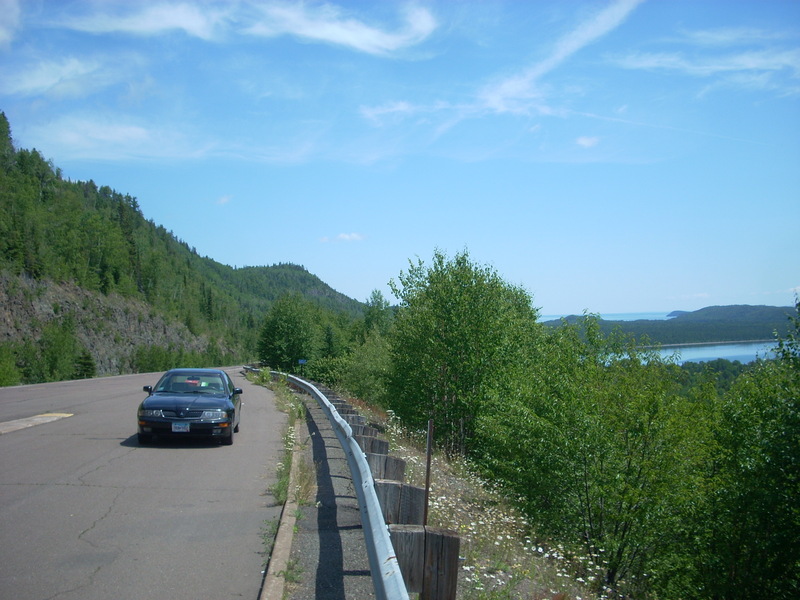 The town is a popular tourist town in the summer for the lake vacationers but stays active in the winter from ice-fishers and snowmobilers. While in the area: Vergas is known for a legendary Bigfoot in a dense forest outside of town called the “Hairy Man.” After a day of squatching, swing into town and check out the awesome Billy’s Bar and Grill! 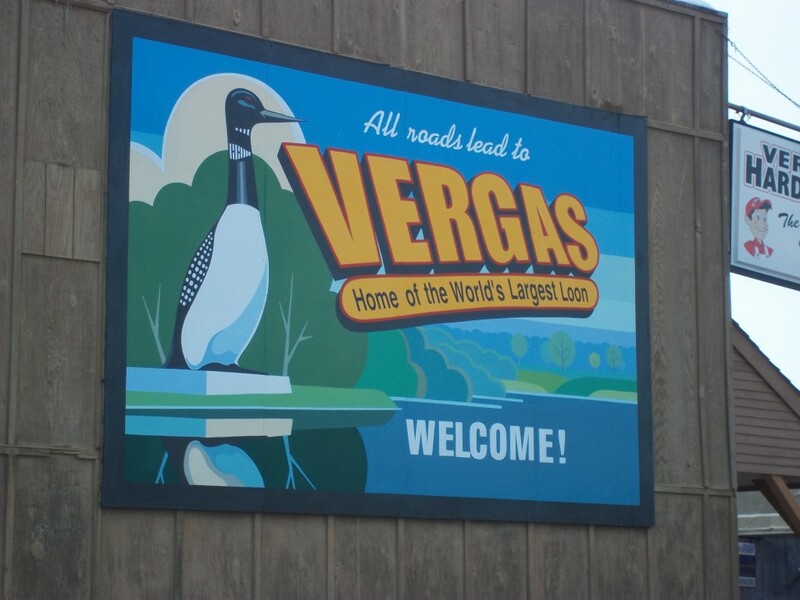 This entry was posted in Highway Highlights and tagged Bird, Loon, MN, Roadside Attraction, Vergas, World's Largest by Seth5544. Bookmark the permalink.